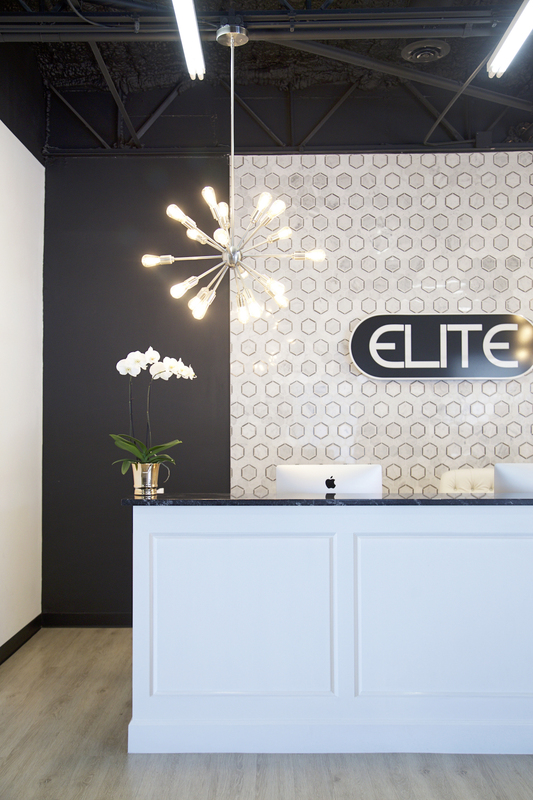 I’m so excited to share our Elite Dance Studio Design Reveal with you guys today! 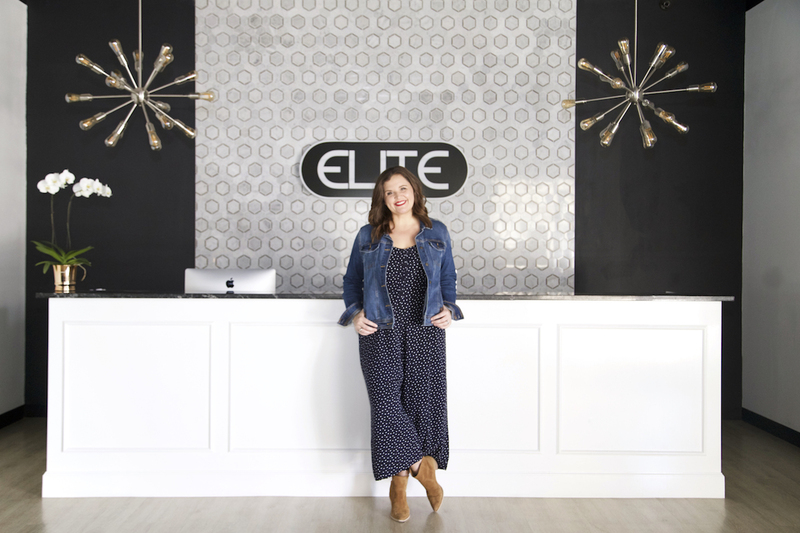 When Sheri, studio owner of Elite Dance of Tulsa, contacted me and shared her vision for her new dance studio then asked me to do the design work, I was so excited! She had a clear vision of where she wanted the studio to go and just needed some help getting there. I had so much fun working on this project with her and helping her bring the vision she had for Elite Dance to life! Sheri likes a little glam — I mean, who doesn’t! — and a lot of the inspiration photos we looked at had some glam elements like crystal chandeliers and high gloss paint and gold fixtures. 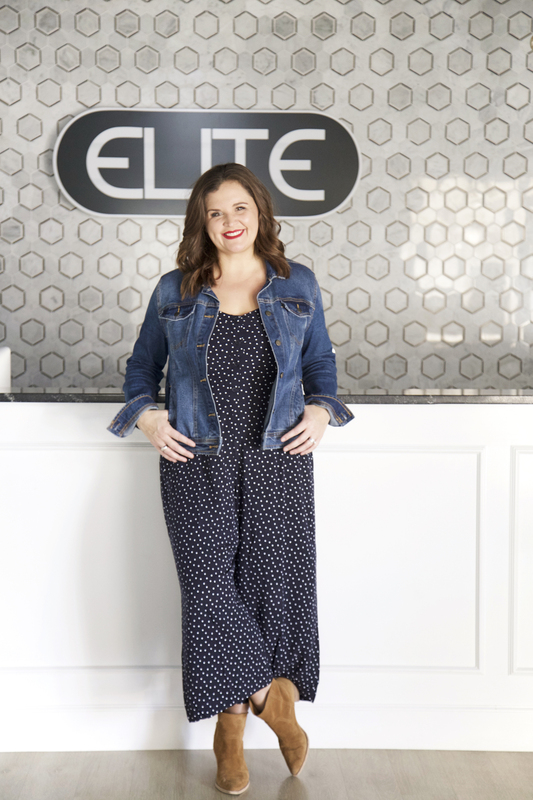 I knew immediately when I looked at Sheri’s inspiration photos, that we needed to find our own way to incorporate a little (or maybe a lot) of GLAM into the Elite Dance Studio design. 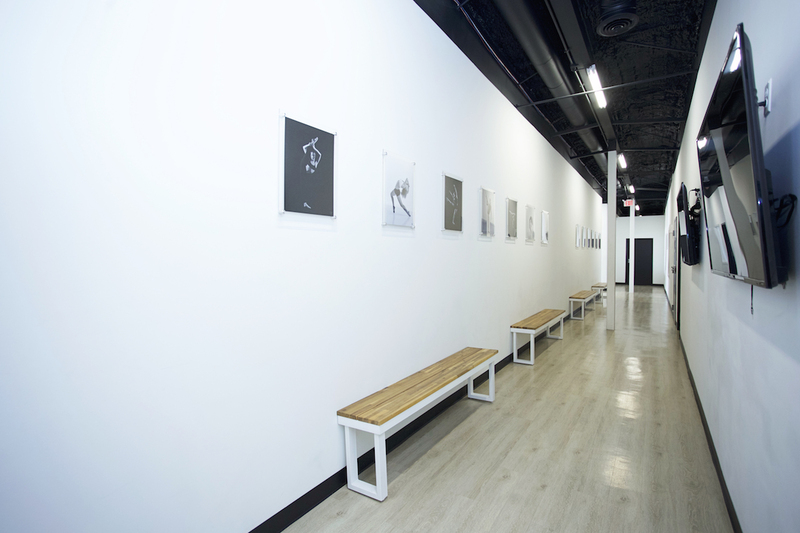 When I met Sheri at the unfinished space for the first time, the first thing that jumped into me was what I like to call the focal wall. 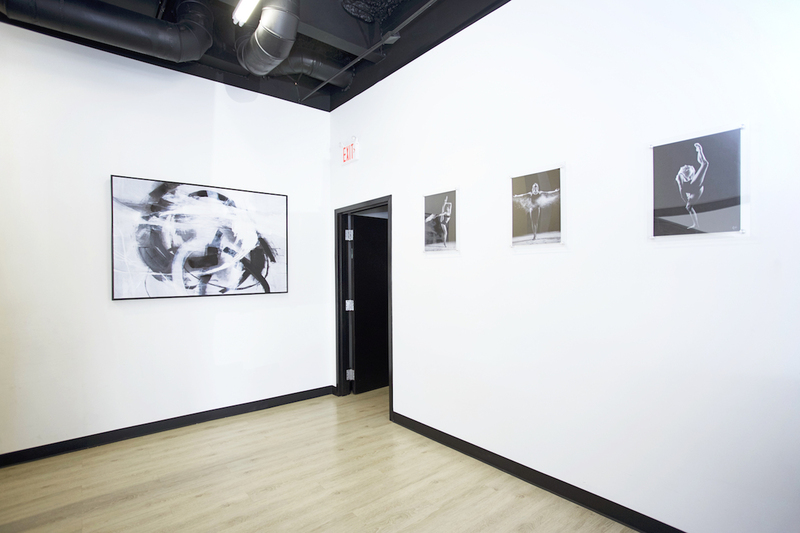 It is the wall that all the dancers and parents would see the first second that they walked into the study. 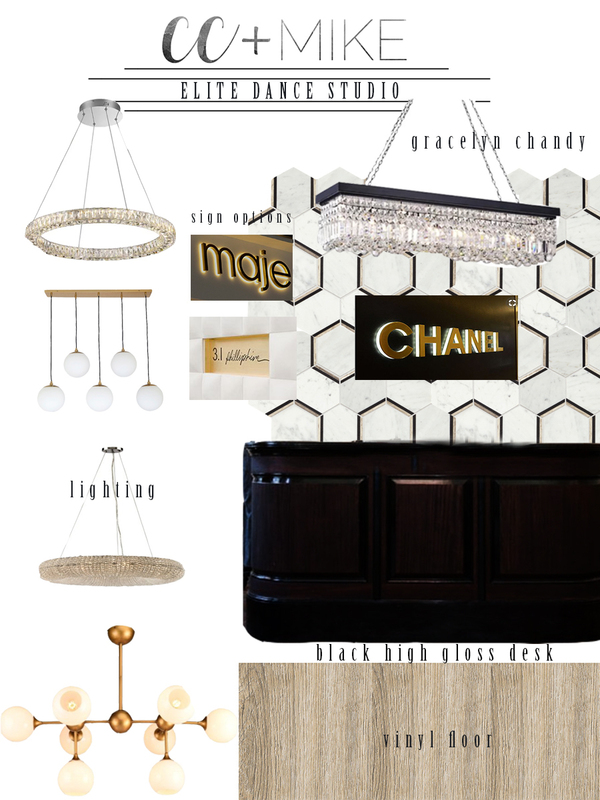 I immediately envisioned an impact, statement wall with full marble tile going up the wall and fun light fixtures. I communicated my idea to Sheri and she loved it! Before I go much further, I’m going to share with you guys a behind the scenes look at the design board that I first presented to Sheri. I have a lot of questions about how I do my design boards and stay tuned, we have a very exciting video tutorial we are planning to share soon…but for now, let me just say that WOW – this process of designing has been quite the journey. I’m self-taught. I don’t have a design degree. My background is photography so I know how to use Photoshop. I just started somewhere with the skills I had in photoshop and taught myself how to start creating these design boards. They are far from perfect and when I look back to last year when I created this design board from Sheri, I see all the little imperfections. In fact, so much so, that I am struggling with sharing it with you guys. But you know what….I’m going to anyway. Do you want to know why? Because I think it’s important to share the behind the scenes. I think someone out there looks at my Instagram page with 64K plus followers and all they see is the pretty pictures. They don’t see the pain and the struggle and the self-doubt that goes on behind the scenes. They don’t see the tears that I’ve shed and the moments I’ve wanted to walk away because I feel ill-equipped or inadequate or exhausted or I just want it to be freaking easier than it is. They don’t see how hard it’s been for me to go from a stay-at-home mom who had a part-time photography business, to full-time working mom juggling the demands of being a mom and a wife and a business owner. They don’t see the fights that CC and Mike have had as we’ve learned to redefine our roles in life and adjust to this new path we find ourselves on. They don’t see me doubt myself because I’m seeing all the little imperfections. Are you like me? Do you see all the little imperfections? Do you criticize yourself? Why is it so easy to be hard on ourselves and so hard to be kind to ourselves, showing ourselves grace and allowing for imperfections and growth rather than expecting ourselves to be perfect or instantly good at something? We all fight that inner critic and it’s so important for me to share my journey with you guys because I’m fighting my inner critic too. I’m learning as I go. I’m just getting up every day and choosing — because you guys, it IS a choice to keep moving forward — to put one foot in front of the other….Even on the days when it’s hard; even on the days when I feel inadequate; even on the days my inner critic tells me: You can’t do it. You’re not good enough. You’re a failure. You’re not as good as ____________ (insert whatever incredible designer or female entrepreneur or blogger I’m struggling not to compare myself to here). You see, I’m choosing to silence my inner critic. I’m choosing to show you my flaws, my imperfections, my growth journey, so that you know we all have to start somewhere. But it’s right there – STARTING – that is the most important part. Don’t expect yourself to be perfect or instantly good. Allow yourself to fail. But pick yourself up, dust yourself off, and keep stepping forward. Imperfect; Flawed; Rough around the edges; OR…. I can see GROWTH. I can see that I’m getting better. I can see that each and every project I say yes to is an opportunity to keep stepping forward, to keep walking through the doors God has opened, and to allow myself to step into who I was made to be — a creative. Keep moving forward, even on the hard days; especially on the hard days. One day you’ll look back and be so glad that you did. 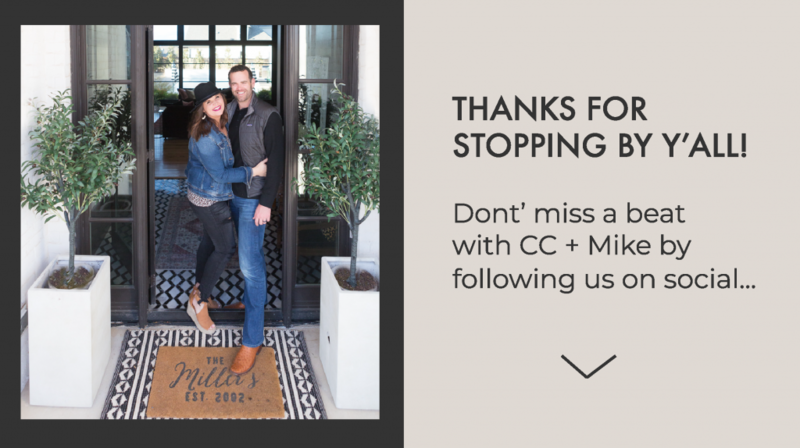 I’m still just trying to figure things out as I go and I’m always going to be real and share that with you guys, our followers on insta and anyone who reads this blog. With all my heart I hope that one day I will run into one of you and you will tell me that you started something; that you dug deep and found the courage to take the first step; and that you silenced your inner critic and kept moving forward through the pain and the hardship and the learning and the failure and everything in between. Oh what a happy day that will be for me. Sheri, thank you for letting me be a part of bringing your vision to life for your dance studio! Thank you for being such an incredible role model and teacher for many young dancers, including my daughter! 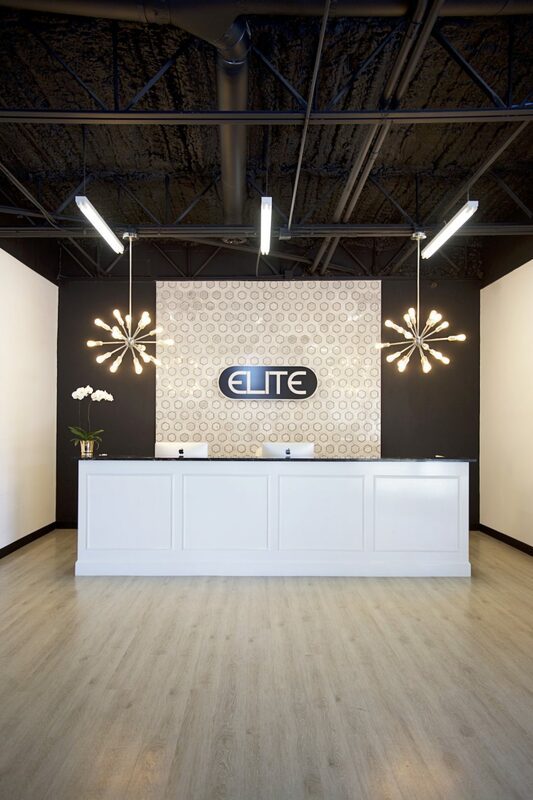 If you’re looking for an incredible place for your daughter to dance, you should definitely check out Elite Dance of Tulsa! 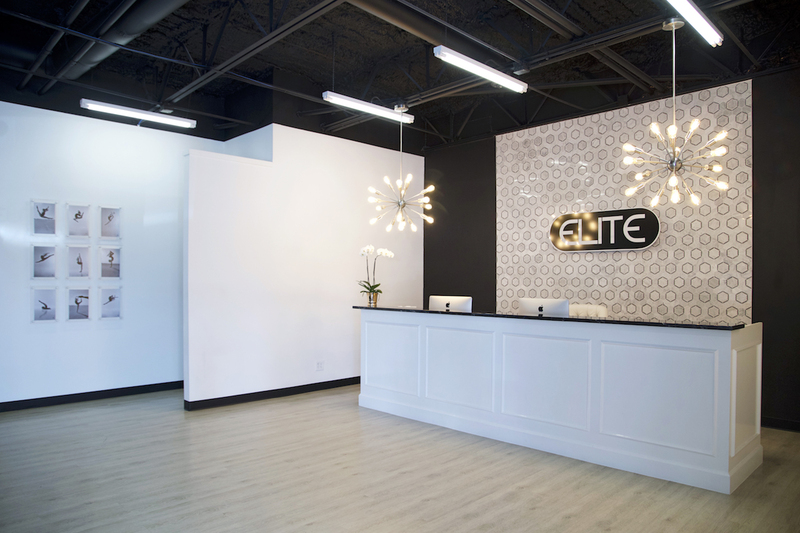 And without further ado, I give you my design board that I presented to Sheri last year followed by drumroll please….THE ELITE DANCE STUDIO REVEAL. Oh and by the way…what good is a reveal without some before and afters! 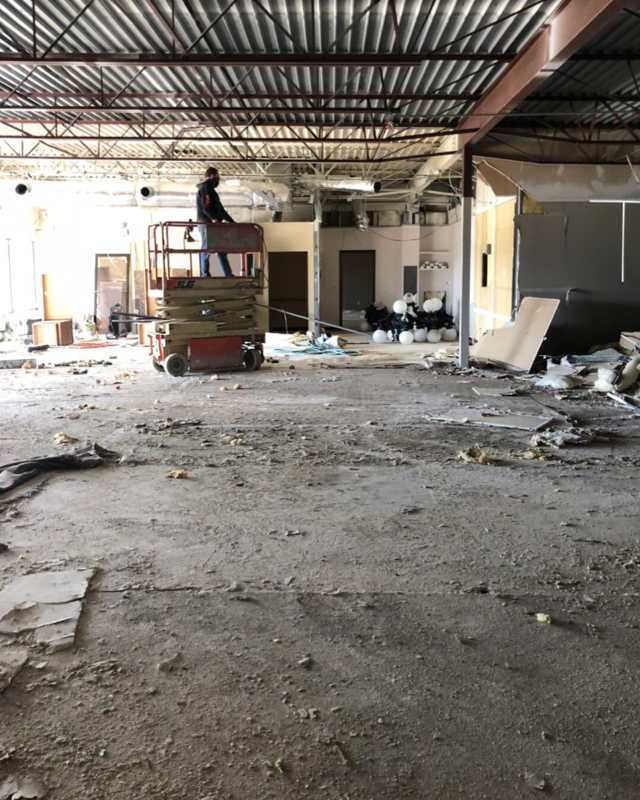 Here is a before of the space. WOW what a difference the after is. 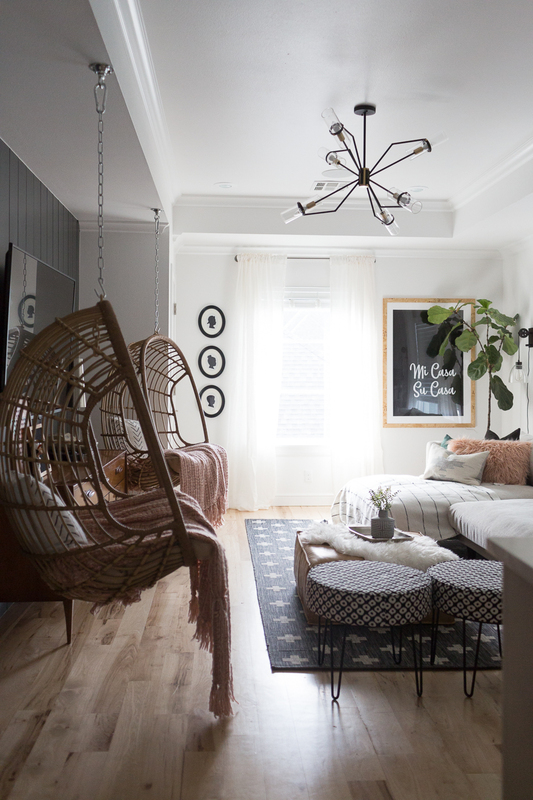 I’m so honored I got to be a part of this project and help Sheri transform this space into the studio of her dreams! 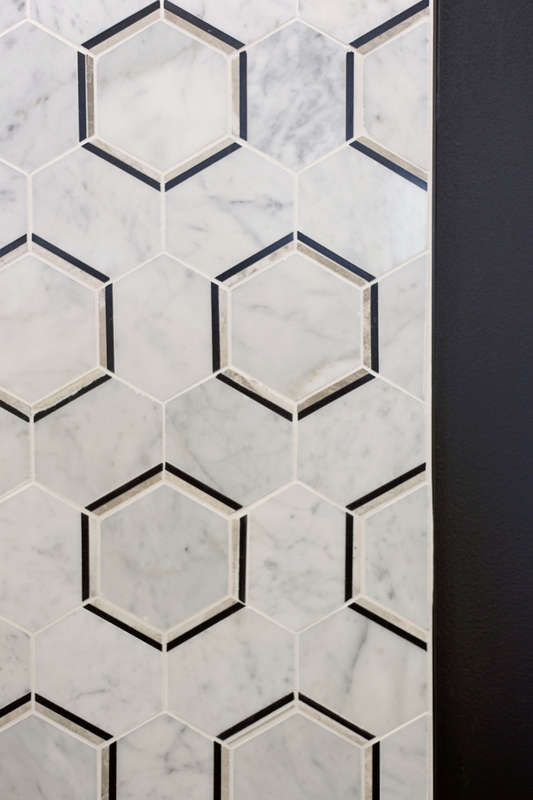 If you like this marble hexagon tile we used for the focal wall in our Elite Dance Studio project, you will like these honeycomb marble selections from Wayfair, Amazon, Home Depot and Overstock. We also recently revealed our Teen Hangout Room where we used a brand new hexagon tile from Home Depot That is a wonderful choice as well if you would like to get this look! And here is a look at our teen hangout room we recently revealed with a different but similar fun hexagon tile! Shop the lighting above and similar ones below! 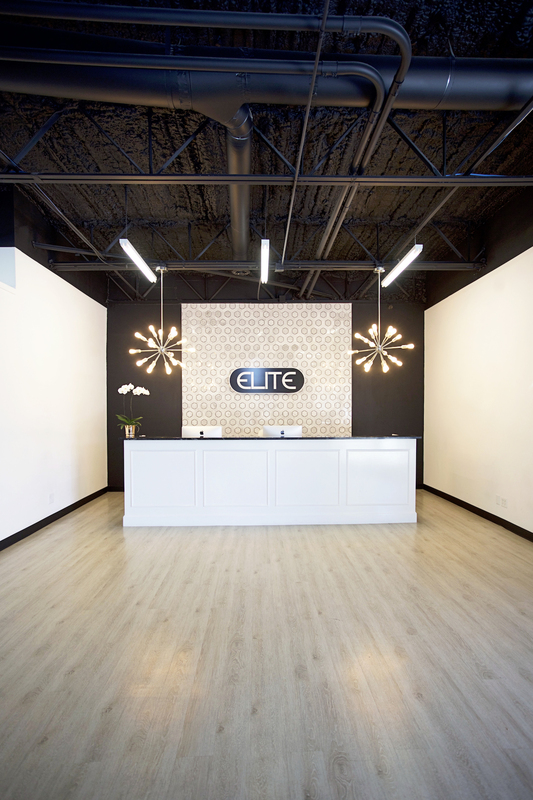 Thank you for stopping by our Elite Dance Studio Design Reveal! All photos are by Sarah Baker Photos. This is so cool Clarissa and I love the modern glam vibe of the entire studio! It is beautiful but I expect nothing less from you, my friend.